The match was useful in revealing some lessons for my thinking-store. 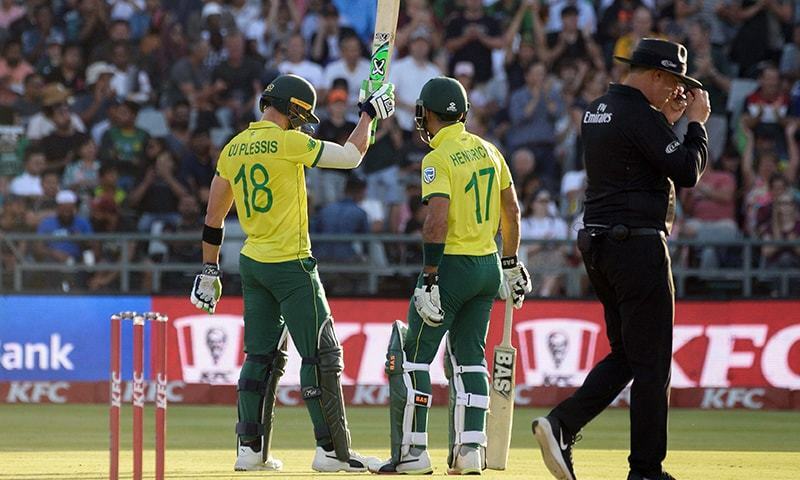 Fortuitously I watched the thrilling match at Cape Town between Sri Lanka and South Africa on the 19th March on TV – a game which ended in a tie and was resolved by a Super Over battle. The tense Super-Over competition is not my idea of thrill – simply not my scenario. For me that was not the high point of the match. It was the Saf collapse from 3 for 117 in the 17th over to 8 for 134 in over twenty (20) which ended the real contest in a TIE that captivated my interest – heightened as it was by Niroshan Dickwella’s failure to hit the stumps from two yards on the last ball. So: with two runs to effect a WIN and one run a TIE, the Saf tailender Tahir – a bunny if ever there was one -- had the match in his batting hands. He missed a swipe at Udana’s 6th ball and ….. THEN …. Dickwella fluffed as easy a run-out as anyone could effect: missing three stumps from five feet away with a shy. Apart from the fact that Dickwella (and his captain) should have anticipated the mishit and been closer to the stumps, perhaps Dickwella should meet Jonty Rhodes and learn how to forward dive like a surfie and slash wickets with ball in hands. THAT is sure fire success. That is also a lesson for the future for all cricketers. Innovation. Whole-hearted cricket. Body-on-the-line. Firstly: I have had reservations about Lasith Malinga as Captain because he is slow in the field and not much use as a batsman. However, he led well in the tight situation that unfolded, taking his time in setting the field and making sure the boundary riders were not on the lines, but in closer so as to deny two runs to most outfield hits. He also bowled well: in fact, the figures of 2 wkts for 11 runs at an econ/rate of 2.75 are quite outstanding. Moreover, he opted for Isuru Udana as bowler for the 20th over (rather than Kamindu Mendis) even though Udana had leaked a lot of runs in his third over. Secondly, it is vital for Sri Lanka to have players who are swift and decisive in the field. This is particularly important on larger playing grounds of the type one encounters in South Africa and Australia whose players are quick to scamper two runs from balls sent towards the boundary (assisted too by the fact that the average athlete in the West is faster than the average athlete in Asia). When the SL Selectors ruminate over batsman X and Batsman Y in selecting any ODI squad, they should opt for the guy who is a swifter and safer fielder – evaluating three attributes (viz catching, speed over ground and throwing) not just one.